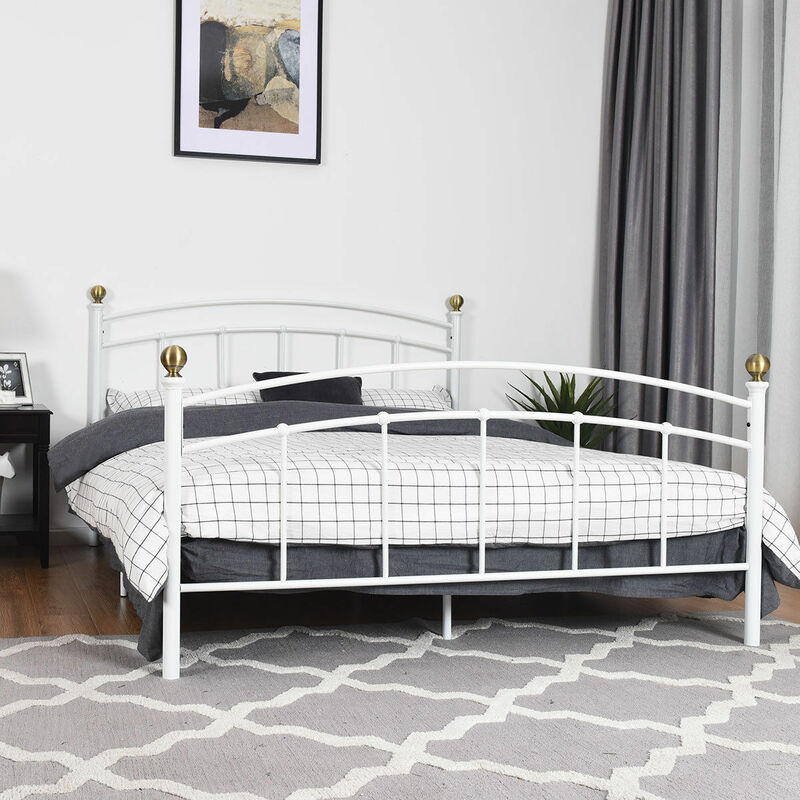 This modern metal bed frame with metal slat would be a good choice for your bedroom . The metal frame with modern headboard and footboard , full-length guardrails provide the safety and comfortable sleep environment. The heavy duty platform bed weight capacity up to 400lbs, provide strong support for your memory foam, latex, or spring mattress. 12 inches of clearance under the frame for plenty of under bed storage space. Great for residence bedroom, dorm, school kids student children room. Don't hesitate to buy it now .